As you get older (and we all do!) regular exercise is one of the best things you can do for yourself. Walking, swimming or light exercises at home can help you build up your leg and core strength, which in turn will improve your balance and reduce your risk of fall. 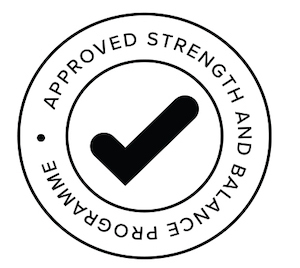 QE Health is part of the ACC's Live Stronger for Longer programme, helping those in the Lakes District Hospital Board region by supporting the development of community group strength and balance exercises. • What will the classes involve? Classes will be developed to suit the needs of the communities they serve. Some communities may like dance classes to music; some may like to exercise in a quiet space, while others may carry out classes in a variety of styles or languages to suit members. • Will I have to wear lycra or specialty clothing? No, unless you want to of course! Classes will be run by people in your community for the people in your community. Comfortable clothes that you can move in, and flat, comfortable shoes should be the only pre-requisite. • Will I keep up? Each class will be required to incorporate exercises that reduce falls, and meet a set of nine assessment criteria. Once a class can do these things they will then be entitled to carry our approved strength & balance 'tick'. So, don’t worry about keeping up –although these classes may make you breathe a little harder, they won’t involve any exercises that could do you harm. Who can attend a class? All New Zealanders who are 65+ and at risk of falling, or have a history of falling, should give it a go. • Who can attend a class? All New Zealanders who are at risk of falling, or have a history of falling, should give it a go. NB Include one-off cost and/or club subs. $5 per class pay as you go. Low to medium class working on balance, posture, cardio vascular fitness and strength. Suitable for all levels of fitness as options for exercises are always given. A 10 week hydrotherapy class for the public. Hydrotherapy involves the use of warm water for pain relief, rehabilitation, exercise and relaxation. Number of clients: 8 max - this class is full. Cost: $10 per class (can pay for 5 at a time or all 10 at once). Contact mary.crane@qehealth.co.nz to book for future classes. This class is suitable for all ages, all levels of fitness and for people who experience discomfort when exercising on hard surfaces who need to improve their strength and balance. Would you like to be more fit and active, but live with health conditions that limit your movement? Conditions like joint pain, arthritis, osteoporosis, muscular soreness/stiffness, chronic back pain. Recovering from an injury? Would you like to improve your range of movement, flexibility, strength, balance and coordination? Perhaps you are just looking for a gentle form of exercise to maintain general fitness and well-being, exercising in water can help. It is easier to work on balance in the water because the fear of falling is removed Water-based exercise is safe and comfortable. It puts emphasis on alignment, breathing, developing a strong core, and improving coordination and balance. Mondays with Mary Gray, Tuesdays and Thursday with Louise Marillier, QE Physiotherapists. Gentle exercise programme to help regain and retain strength and balance. Open to clients currently on a QE community rehabilitation programme. QE Health, 1073 Whakaue Street, Rotorua. Walking group with an added component involving strength and balance exercises along the route providing additional challenge and variety- entry by QE physiotherapy referral only. (Class currently only open to Cantabria Village residents). A phase 3 Cardiac Rehabilitation Club, designed specifically for Cardiac Rehabilitation. Class aims and objectives are to minimize the risk of further heart events, through exercise, education and emotional support. Fitness suited for all fitness levels and abilities aiming to increase general fitness, core strength and flexibility. Goal is to restore natural movement patterns (everyday functional movements). This focuses on all elements of fitness: cardiovascular, muscular conditioning, flexibility and balance. Focuses on all elements of fitness: cardiovascular, muscular conditioning, flexibility and balance. Gentle exercise programme to help regain and retain strength and balance - all $4.00. Every Mon, Wed & Fri 8:45-9.30am & 5:45-6:30pm (No 5:45pm class on Fri).